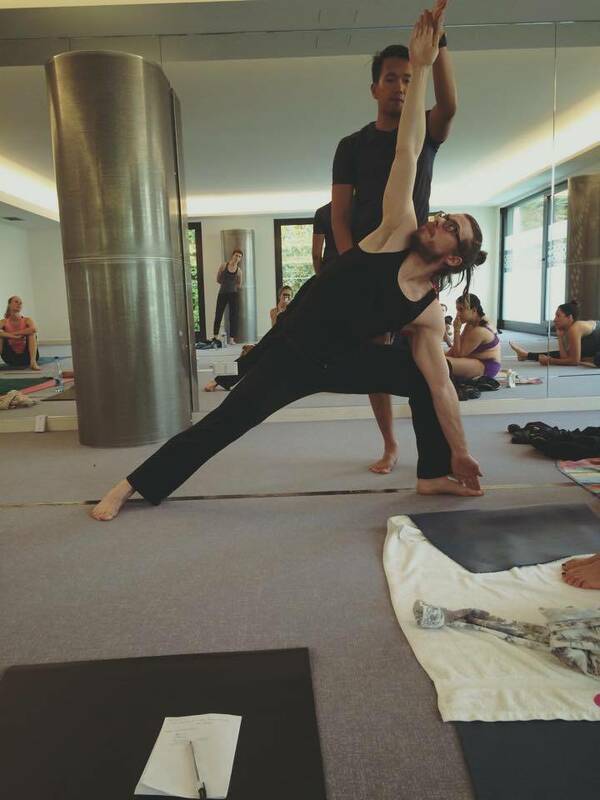 Last month I went to my first yoga workshop ever! I was very excited and I wasn’t let down in any way. The workshop provided me with a good introduction to Bikram Yoga. The Bikram Yoga workshop had been organized by BYLU Hot Yoga and was held by Ky Ha who flew in from London. Before we go into the details of the Bikram Yoga workshop with Ky Ha, let me give you a brief overview of what Bikram Yoga is all about. Bikram Yoga is a yoga style mainly derived from hatha yoga techniques. You might call Bikram Choudhury the founder and name giver of this yoga branch which consists of the same series of 26 postures and two breathing techniques over a duration of 90 minutes per class. The distinctive feature of Bikram yoga is that the room is heated to ideally 40°C (104°F) with a humidity of around 40%. That’s also the reason why it’s sometimes called “hot yoga”. If you participate in an official Bikram Yoga class your teachers will have passed a nine-week training process and will thus be certified Bikram Yoga teachers. As this form of yoga is based on hatha, literally meaning force, the sequence of 26 postures is physically demanding. The idea is to bring both body and mind back into balance. The heat of the room is supposed to warm up your body faster and deeper than a conventional exercise of the asanas would. This will make it easier to perform the postures and will help you to “reshape the body any way you want” as the Bikram Yoga College of India states. Furthermore, the heat will increase your blood flow providing your body with more oxygen (As always with yoga breathing is key!) and kickstart a cleansing process similar to going to the sauna. The body will sweat a lot due to an increase in body temperature, thus flush out toxins. Saunas, for instance, help to recover from workouts, as they help to eliminate metabolic waste by sweating. I wouldn’t be surprised if this would be the same with Bikram Yoga. Please be aware that physical exercise in combination with heat will cause you to sweat a lot. This might cause some negative effects such as dehydration (your body is lacking water) or hyperthermia (your body overheats). If you have any medical conditions or are unsure in general, you should consult a physician beforehand. Ky grew up encountering multiple car accidents resulting in breaking his legs and arms. As a result of these accidents, he suffered many ailments all over his body including severe back, neck, and joint pain. After beginning the practice of Bikram yoga, Ky discovered something that has truly transformed his body and life. “I hated going to class in the beginning. I was so weak and inflexible, I couldn’t even touch my toes!” Through sweat and determination, Ky has managed to build strength and flexibility as a result of an everyday practice. If Ky managed to get this far, you can go a long way, too. All you need is dedication and persistence! 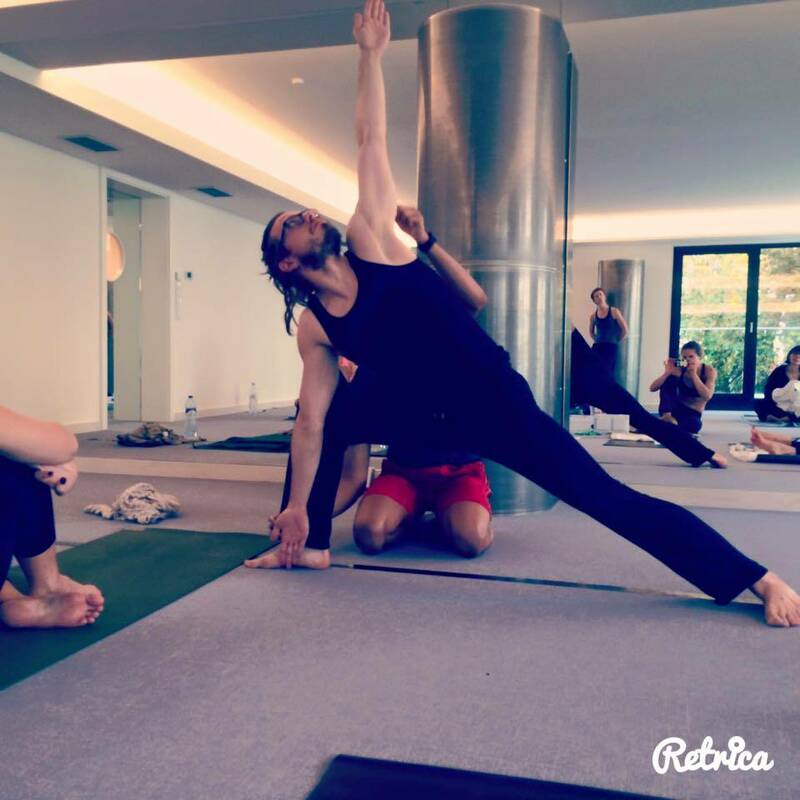 With the encouragement of his teachers, Ky attended Bikram’s teacher training during the summer of 2004. Shortly after that Ky participated in his first yoga asana championship where he won first place at the Texas regional competition which qualified him for the national competition where he was placed fifth. That year was extremely influential to Ky’s future as he was inspired by all those who were participating. The following year Ky returned to the championship finals securing second place in the U.S. and third place internationally. Participating in the championships each year, Ky has learned from each performance on stage. On his third year; Ky was privileged to be able to be coached and mentored by Jim Kallett; a very senior instructor of Bikram yoga. With Jim’s aid, Ky competed in the 2007 championships where he was victorious as the men’s United States champion as well as the men’s international champion. BYLU Hot Yoga (website – facebook page) was the first yoga studio of its kind to open in Luxembourg. Opened in 2012, BYLU has grown and recently expanded to a new studio space in Limpertsberg. The new BYLU Hot Yoga studio space features a state of the art bespoke heating system, offering optimal heating technology and maximum comfort to students with amazing facilities. Spacious and open, BYLU accommodates up to 30 students at a time. 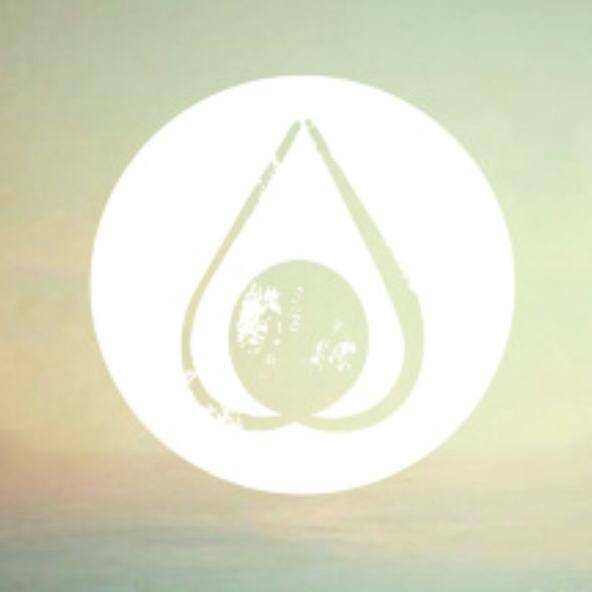 As a yoga studio, they envision to build a community where all students feel safe and inspired to stretch, heal, and strengthen their bodies and minds. All students will be given individual attention from one of their certified and experienced teachers. BYLU Hot Yoga is more than just a yoga studio. It is a place where like-minded people can come together to practice yoga and feel a sense of place and home. BYLU is a community of real, everyday people who have taken a chance to try something new and enhance their lives both physically and mentally. Polly Edwards, the owner of BYLU, brought Bikram Yoga to Luxembourg in 2012. 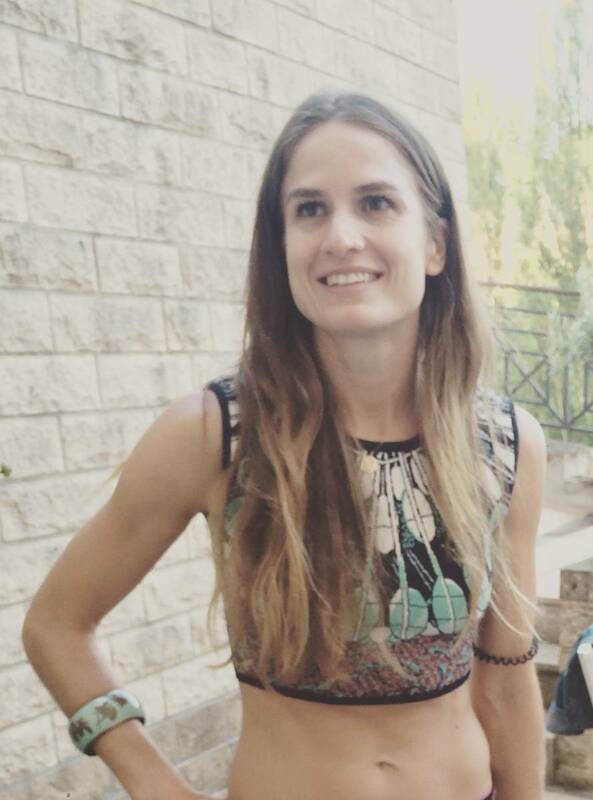 Polly became a certified Bikram Yoga instructor in 2011 and spent 7 months apprenticing in Boston, Massachusetts. She teaches regularly at BYLU alongside international certified instructors teaching classes and special workshops. 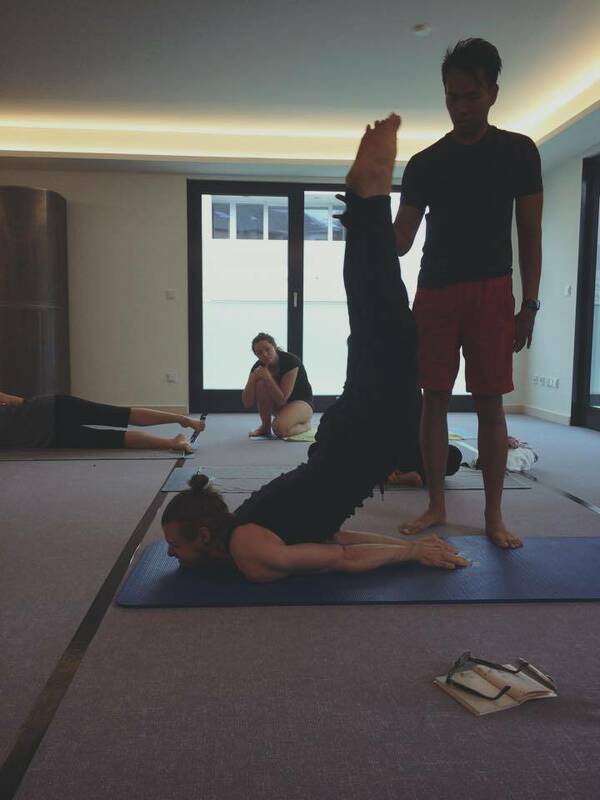 The workshop started with a regular Bikram Yoga class at 10 o’clock on a Sunday morning, which proved to be a good way to start your Sunday. This class was my first yoga class ever (YouTube and DVD classes excluded) and thus also my first time trying out Bikram Yoga. First thing Ky did was to look for me as he had been told that I’m new. We started with the 26 postures and Ky lead us through it. I was able to follow rather well and he corrected me and the others whenever necessary. I liked the fact that Ky wasn’t doing the postures himself, but rather guiding us through them. Furthermore, he really put a lot of effort into motivating all of us. I managed to follow and go through the 26 postures and two breathing techniques better than expected. The heat didn’t prove to be that much of an obstacle, as I do sauna sessions frequently. Nevertheless, physical exercise and heat are really tough and demand a lot of physical and mental effort, but also focus. There were several occasions where I had to mentally push myself. Ky did a great job motivating everyone in the room. He gave plenty of guidance and corrected people where necessary and appropriate. The fact that he gave me, as a newcomer, a lot of attention felt very comforting. Especially at the beginning I felt a little lost and overwhelmed by the location, heat, postures and the new faces around me. After the 90 minutes we had a 30-minute break. I used the time to rehydrate (A lot! ), get cleaned and cool myself down. Once that was done I could feel the heat in my body breaking. This indicated my core temperature was falling again. As I still felt exhausted I started eating the snacks I prepared and checked out the location a little further. I cannot say anything about the “old” location of BYLU, but the new place looks really good. It’s pretty modern with wide and open spaces. The front desk offers plenty of information about schedules, workshops and the different membership options. You can even rent out a mat or a towel for a small fee. Of course I also had a conversation with Ky and Polly. It was very pleasant and they were very kind and good humoured. Then the workshop itself followed. Over the course of four hours Ky talked a little about his background and the impact yoga had on his body and life. Everyone was open to participate and throw in their own wisdom. We progressively took apart the 26 postures into different groups and worked on them. We did this on the one side via doing the poses themselves with insights and corrections from Ky and on the other side by doing complementary exercises helping us to work on you general yoga skills. Ky picked participants of the workshop on several occasions to come to the front and show certain postures. Here again, he explained a lot and gave even more practical insights about the postures and what to strive for and what to avoid. Just look at my face! It seems like I’m in agony but I can assure you that I wasn’t! Doing the locust pose gave me several insights about my body. The first being that with some help and guidance from Ky, my pose can be way better than expected. The second takeaway was that from all the Brazilian jiu-jitsu my throat muscles turned out be strong, but short. That is the reason why my face looks so stressed. It’s not my back as you might think looking at the pose. It’s only my throat muscles which ultimately proved to be extremely hindering for that pose. I’m certain, I could have performed it in a physical way much better (higher feet, better hand posture) without the restrictions of my throat. After talking with Ky about this, he showed me a few stretches I could do. Now I do plenty of throat and neck stretches, making sure my throat muscles won’t interfere with my yoga performance again. I really learned a lot at this workshop and I had plenty of fun. Bikram Yoga is a form of yoga that suits me very well on a personal level. I’ll keep it in mind and hope I find the time in my schedule and some budget to join classes on a regular basis. It’s much more than just yoga to me. It proved to be a great complement to my martial arts classes as well as my strength and conditioning programs. My personal fitness program aside, I’d say you should give Bikram Yoga a try! This entry was posted in Lifestyle, meditation, yoga and tagged bikram yoga, BYLU Hot Yoga, hot yoga, Ky Ha, lifestyle, workshop, yoga by Stefan. Bookmark the permalink. I skimmed through the blog post but saw the triangle photos that were really inspiring to see how far you’ve come this year with your body transformation! Really thinned it up, grats man!